A fantastic song written by my good friend David Masson. I loved this song as soon as I heard it and couldn’t wait to put my vocals on there. It’s the first time I’ve done a duet, and I loved what Masso had done with it. It’s punchy and pithy and lulling. I love the sparseness and then the build. It’s dark and weaving and a bit eerie. I find it exposing and comforting. A few weeks ago we shot a video to go with the song. A video that was, and is lots of fun and filled with oddness. Testament to the vision and creative skill of Mr Masson who conceived of the whole thing and came back with this…. and it’s also the first time I’ve been asked to choke up yakky stuff for art. Have a watch and a listen, share and enjoy! Making of ‘Sharks’ video & upcoming performance 25th November, Liverpool. The morning looked like this… a coffee, chat, catch up and superfood salad… plans and directions decided, satiated and ready to go film…. We ventured various places over the course of the day. The trees, the beach, face down in the sand, avoiding statues, dogs and boats. We squelched down dingy railway alleys and bin alleys in the dark, ran through doors and ended up in the cellar. We had a giggle, drank lots of coffee and after 10 hours had enough footage to allow ourselves sleep. I had an amazing experience working with these two folks. It was easy and fun, and we got stuff done. I’m excited to see the finished edit and to premier at View Two Gallery, Liverpool on 25th November 2016… cant wait to share. And this is what I looked like at the end of the day….. Creeping from the darkest corners of the cellar I present to you ‘Sharks…Operation Lightfoot featuring Jo Bywater’….the Teaser/Trailer/Taster of what’s to come your way this November…. Here are a few words from Mr Operation Lightfoot himself, Luke Moore..
“It’s been great to work with Jo again after finishing the track earlier in the year. In the video pre-production meeting we talked about a few things that we wanted to try out and put together the framework of how this might look and the footage that we got is even better than I’d expected. We’re aiming to have the video ready to accompany us at the next Operation Lightfoot performance on Friday 25th November at the View Two Gallery in Liverpool. The song and video, like the other Operation Lightfoot material, is a great example of how collaboration and working outside the usual comfort zone can be both a creatively enlightening experience as well as produce really strong results. Jo has been a really strong co-writer, flawless performer and working with her from behind the camera was an absolute joy and I think we were both pleasantly surprised by what we achieved. I’d like to say a big thank you to Jazamin Sinclair, too, who has really done a great job so far and I’m very keen to work with as soon as possible”. 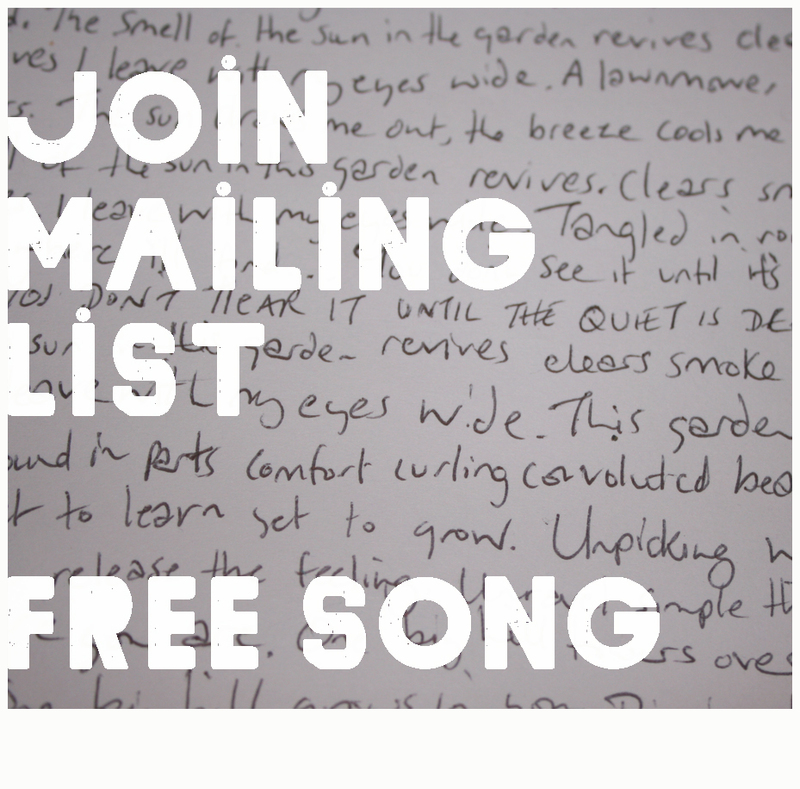 There’s a lovely list of 12 songs all ready to make up my next album. I’ve been patient this time round and have opted for letting this music marinate, sitting with it, making tweaks. I now have 8 songs pretty much recorded with some sprinklings from other artists to add to the mix and so a couple of weeks ago I paid a visit to Jon Lawton at the new premises of Crosstown Studios in Liverpool for his expert ears and studio skills…. The feedback was great, the coffee was flowing and I came away feeling very excited and like I can move on to my next chapter… watch this space, this thing has wings! Keep an eye on my website / social media for updates! 2 fab things to sing about today! Amazing studio time was had last Friday with Luke Moore and Jon Lawton at Crosstown Studios Liverpool. We began the recording of our song ‘Sharks’ for the Operation Lightfoot project. For this we decided I would be kept away from the guitar, so, guitar skills are by Luke, my vocals and harmonica are currently in place in this dark little number. The thing that has MOST excited me about this is the strings. THE STRINGS. I can’t wait to share this with everyone once it’s finished! Stay busy create keep warm! A few weeks ago I mentioned I had been asked to provide vocals for the fab band Bowker. These guys have written a concept album called Sail to the Deep and needed someone to be their ‘Valentina’. I was really honoured to be asked, it was also a pretty big challenge but very exciting! I have never just provided vocals before and for this one it was also vocals with no words…so…listen I did…over and over to the amazing atmospheric chunky guitar/bass/drum track they sent me. After I felt I’d suitably absorbed the music I started to get a feel for the character and it was a lot of fun singing my heart out for this. The launch was a few weeks ago at Lomax, Liverpool and I went along to perform. Cracking night. Here are a couple of pics. The album is released in November. Another guest appearance for me came in the form of Tiki Black. Tiki is a fantastic songwriter and though we have crossed paths at gigs and she has also been very supportive of my music, we had not yet worked together. Tiki asked me a couple of months ago if I would play some guitar on her track ‘Free Like Smoke’. It’s a beautiful song and when I had a closer listen I could really hear some vocal harmonies in there too. So, I jumped in and had a play. Luckily for me that was appreciated…. The track sounds great and I will update when and where this will be available once I know. This was also featured on Roots & Fusion and can be heard here. 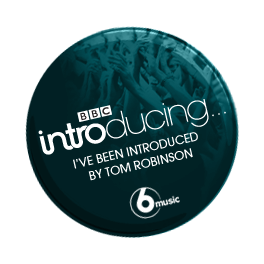 This weekend I discovered that my song Sun shines under water (from Chasing Tales EP) was included on Tom Robinson’s MIXTAPE (BBC6 Music Introducing.. Fresh on the Net): I have been lucky enough over the last year to have 2 other songs (Chopping Wood & This Garden) from the EP also featured on the show. It’s a top resource for independent musicians and I’m very proud. That’s it for now! You’ll find me walking around in the Autumn air finding inspiration for new songs. Be sure to head over and see who else they have filmed, always quality! Swishing into December are we, doing whatever each of us likes to do or not do! 🙂 Me personally I like to leisurely drink coffee and stay in where its warm..
First up. Last month we filmed a vid over two days to compliment my crowd favourite Chopping Wood. This song has been making people happy. So I contacted the fab Mr Andrew Ab and he sent the finished product to me this week and I couldn’t wait to share it.. I suggest sitting yourself down with a brew and taking 4 mins..(until the end of the song of course) and soaking up this little visual delight. I’m really happy with it and so seem those who have thus far seen it..and who can say more than that. Secondly. Last month Chopping Wood was picked by the one and only BBC 6 Musics Tom Robinson for his Fresh on the Net blog. I then was emailed an excellent message to say the same song had been selected for Tom’s BBC Introducing Mixtape show. Happy? Well..just a little bit 🙂 Here’s the show that went out with my song on it! The Fresh on the Net site is also an amazing resource for musicians looking for tips on how to optimise their opportunities..
Third. Last weekend I headed down to Hertford Corn Exchange to perform as part of the Folkstock Christmas show. I did the festival in the Summer and I can’t recommend it enough for the future. I was treated extremely well and the acts were all top quality. Last sunday was a full day of free music. Check out these guys if you can and keep an eye on the festival for the future! Pic from the day by Helen Meissner..who also took some vid footage and made an awesome compilation here…. as well as being the boss of Folkstock! definitely not least… one day last week whilst browsing the internet I came across this little gem..
Blues Matters is a great mag featuring all things blues and somethings that push the boarder of traditional blues. I like this ethos a lot being that my music is not especially traditional to any genre. These guys have reviewed my EP and it is in the current issue with favourable words. Once I have my copy I shall be posting a picture of the review. Until next time enjoy this time of year however you need to! Many good vibes from me and if you’re looking for gift inspiration I would recommend my EP Chasing Tales…. naturally!